Spadrole Training and Developments is a business dedicated to getting breakthrough results for high-performing individuals, companies and associations. 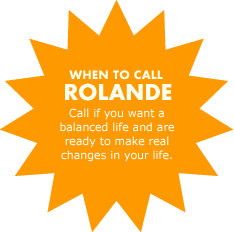 Rolande works with groups and individuals who want to make real change happen now! This will be the best money you’ve ever spent; Rolande guarantees it! This transformational package consists of six high-powered, one-hour sessions. You’ll be challenged to take a look at everything and clearly see what needs to stay and what has to go. Not only is the fun guaranteed, so is your investment. No joke!